Y&R Star Melody Thomas Scott--Bidding Wars Over Revealing Memoir! The Young and the Restless: Melody Thomas Scott–Bidding Wars Over Revealing Memoir! Melody Thomas Scott, who plays Nikki Newman on The Young and the Restless. The memoir of The Young and the Restless star Melody Thomas Scott is ready to go–after a bidding war over publishing rights! 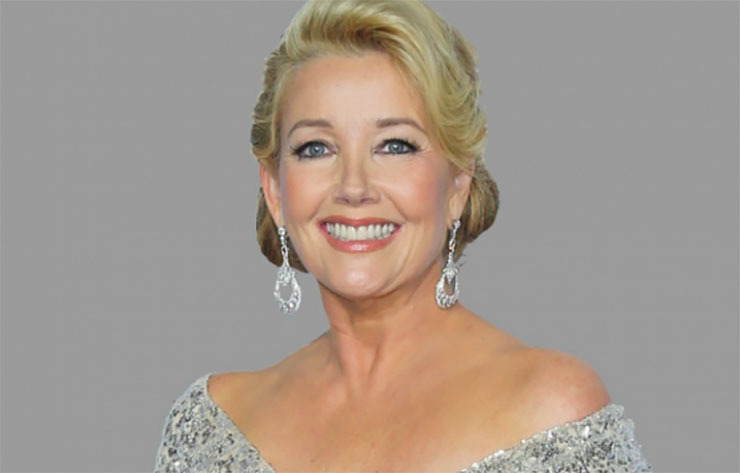 Fans can breathe a sigh of relief that, after seven years of writing it, Melody Thomas Scott (Nikki Newman, The Young and the Restless) is finally finished penning her long-awaited autobiography! Now though, as she told Michael Logan in an interview, it’s up to the publishing houses as to which one gets the rights to it. Thomas Scott said that “thankfully, so many publishing houses are interested in it that we’re in the…what do they call it? Not an auction. A bidding war! This is all very new to me but, according to my literary agent, that is where we are right now. We’ll see who the winner is,” she told Michael Logan of TV Insider, our fave soap journalist. Related: Make sure to catch more of our coverage of Michael Logan’s Melody Thomas Scott interview! Thomas Scott admitted that writing the book took a long time, and her family was an important factor in its completion, as it contains parts about the childhood abuse she endured. She gave the manuscript to her daughters to read first. “I said, ‘Okay, guys, before I submit anything I will let you–and only you–read it. If there’s any stuff in there that bothers you, now’s your chance to let me know.’ They did not nix anything but ever since they have treated me so differently.” And, by that, she hastened to add that it’s all positive. “I mean, they’ve always treated me beautifully. I’m so lucky,” she said. “They are very loving daughters. But they were in shock that I was able to live through everything I reveal in the book. They’re in awe now. They’re like, ‘Oh mom, I am so sorry you went through all this!’ I have never discussed any of it with them, so they were really stunned. There is a new respect for me in their eyes…respect that I’m alive,” she told Michael Logan of TV Insider. Don’t Miss: Y&R fans, you have to hear this great news about the CBS sudser! Thomas Scott also touched upon how difficult it was initially getting through writing about that painful part of her past, which pushed back the book’s completion even further. However, trooper that she is, she pushed on. Despite all that both Nikki and her real life counterpart Thomas Scott have been through, the latter stays grounded and in tip top shape with her yoga practice. She said that she practices three times a week with a private instructor, and is very pleased with the results! Must Read: Jason Thompson is NOT leaving Genoa City! And to that, we at Soap Cities, say woo-hoo to Thomas Scott and wish her the best of luck with her memoir and look forward to more Nikki on Y&R! Next Article Days of Our Lives Spoilers, Wednesday, July 12th: Abigail’s Suspicions Continue to Grow! Hello. Ms. Scott. Congratulations. On. Your. Book. That. Is. Awesome!! Big. Fan. Of. Y. & R. Will. Your. Book. Be. In. Just. Book. Stores?! Sincerely. A. Fan. In. Ky. So excited that you finished your memoir Melody. I can’t wait to read it you’re such a good actress and so talented. Wishing you the best in selecting a publisher and can’t wait for the book to come out publicly. You are one of my favorite actresses.